If you are single, married, have children or are happily retired, you just may find your dream home on Dove Mountain, a master-planned community. The development boasts miles of hiking, biking and equestrian trails; 81 holes of world-class golf; fine restaurants and the Forbes Five Star awarded Ritz-Carlton, Dove Mountain Resort & Spa. All with convenient access to downtown Tucson. Dove Mountain incorporates over 2,000 acres of pristine natural desert and is surrounded by thousands of additional acres of natural desert including the Tortolita Preserve and Tortolita Mountain Park. A great way to explore the expansive preserve and surrounding foothills is through a local organization called Dove Mountain Hikers. 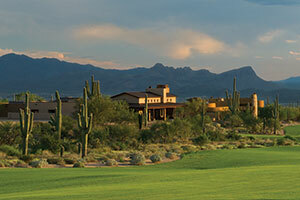 Explore the Desert Foothills with Dove Mountain Hikers. Dove Mountain Hikers is a civic group composed of outdoor enthusiasts who love exploring the awesome beauty and natural wonders of the Sonoran Desert. The group, made up of friends and soon-to-be friends with varying levels of ability and interest, coordinates hikes that traverse bird and wildlife habitat, desert flora and ancient petroglyphs. Ranging from impromptu gatherings to organized hikes that are planned well in advance, the majority are in the beautiful Tortolita Mountains, starting from the Wild Burro Trailhead within the Dove Mountain community. To find out more about upcoming activities, send your name, phone number and email address to dovemountainhikers@gmail.com. To access hiking guides and trail maps, visit dovemountaincivicgroup.org.